A gift voucher from My Own Little Story is the perfect gift for the first-time parent or the parent who already has everything. 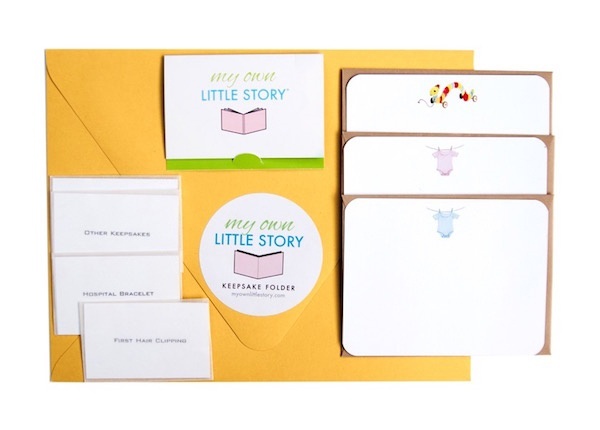 All of our gift vouchers come with a complimentary "Keepsake Folder" (pictured on the left) perfect for storing ultra-sound photos, birth announcements or shower invitations. 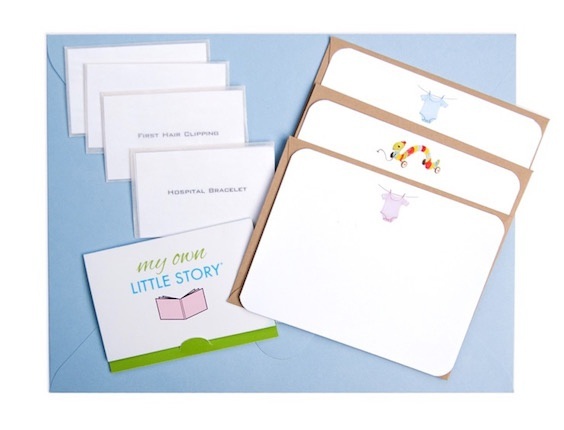 In addition, we have included and labeled vellum envelopes for enclosing your child's hospital bracelet and first hair clippings- complete with double stick tape for securing your treasures in a printed book.